Dr. Jane Morton has had a long, fulfilling career as a general pediatrician, She has also had a long-standing interest in breastfeeding, from understanding its clinical benefits to practical solutions for mothers having difficulty in providing breastmilk to their infants. Over the years, she has conducted research on human milk and breastfeeding and has designed and implemented systems and policies to help breastfeeding mothers. She produced award winning videos on this topic, including “Breastfeeding: A Guide to Getting Started”, “A Preemie Needs His Mother: Breastfeeding a Premature Baby” and “Making Enough Milk, the Key to Successful Breastfeeding”. These have been translated and widely used in thousands of hospitals to train both staff and new mothers. As an executive board member of both the Academy of Breastfeeding Medicine and the American Academy of Pediatrics Section on Breastfeeding, she enjoyed working to enlarge the footprint of breastfeeding, both nationally and internationally. For a 5 year period, she joined the neonatology clinical faculty at Stanford to develop the Breastfeeding Medicine Program. In that position, she had the opportunity to design a nationally recognized educational program, conduct and publish original research on milk production and composition in mothers of very low birth weight infants, and publish a study with the AAP on the efficacy of a breastfeeding curriculum for physician residents in training. She was an advisor to the California Perinatal Quality Care Collaborative, and was a key author of the toolkit “Nutritional Support for the Very Low Birth Weight Infant”. She co-authored the book Best Medicine: Human Milk in the NICU. She has published extensively and presented her original research and educational workshops internationally. 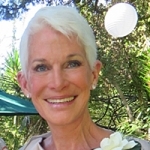 She continues to teach at Stanford where she is an Adjunct Clinical Professor of Pediatrics, Emerita. Complications of insufficient milk production and suboptimal intake account for delayed discharge, readmission, potentially serious medical complications and a sharp drop off in any breastfeeding before 1 month. Reframing lactation support based on prevention, accessibility and sustainability, we could logically reduce these complications, while increasing exclusive breastfeeding rates for both low and at-risk infants. Recent science supports the importance of beginning this support for all mothers in the first post delivery hour, to prevent what might be called, “the lost first hour syndrome”. The risk of early termination of breastfeeding typically relate to complications with a) attachment, b) breastmilk production, or c) the caloric intake of the infant. Simply put, A, B and C. Could hand expression taught in Labor and Delivery to every mother reduce early termination and the health, financial and emotional morbidity associated with breastfeeding complications in both low and high risk infants? This presentation will examine this question, focusing on the purpose of teaching early hand expression, the available science and the practice of integrating this technique into first hour care.